City and Country Realty - Hook into Hinkler! This gorgeous retreat is up for rent! Featuring 3 gorgeous bedrooms with polished wooden flooring, gorgeous deep tub for a weekend soak, tiled kitchen with dishwasher, a living area/dining area and separate lowered downstairs area for living or entertainment, you do not want to miss out on this property! Outside boasts an undercover area, a shed for easy storage, outdoor laundry, undercover parking, gorgeous lawns and a sparkling in ground pool! *Spa is unfortunately nonoperational. Call the office now to book your viewing! Seriously cannot recommend John Tully and the team highly enough! Nothing was too much trouble; John was happy to show me houses at a moment's notice and in various price ranges to compare and spent the last 6 months being patient as I walked through nearly 20 homes. The buying process was made so easy and stress free! Thank you for the house warming gift as well! The best real estate I’ve come across! John and his team are awesome! Best customer service and will always go over and beyond for their customers! Appreciate all their hard work! Great people! Go over and beyond to help you in anyway they can, highly recommend. Well done John and Tanya and their team! John and Kieran greeted us when we stepped in and did everything they could to help us find a property. Very grateful for their effort and their staff for helping us! A huge thank you to City and Country for the service I received from you all! I would be happy to recommend your agency to anyone that asks me for a recommendation. Excellent service and very friendly. Would definitely recommend. Professional, polite & by far the easiest, most accommodating real estate agents I've ever dealt with!! 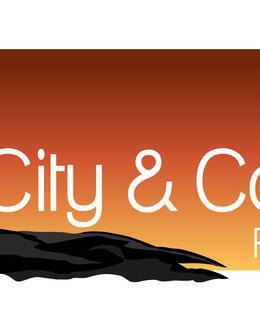 We can not thank City and Country Realty enough! John and the team have been nothing but helpful and helped us find our perfect first home so thank you again! Great real estate, run by a great team. Always felt looked after! Thank you for everything your agents/staff have done for us since we have moved here. Your team are truly amazing, so friendly and joyful on any occasion and so understanding with different circumstances... We wouldn't have any other real estate! John, Carla and Kieran always made me feel looked after and made my first time renting a breeze!